Isao Kinoshita, the First Europrobasket Player to Sign in LEB Gold! Isao Kinoshita is the first Europrobasket player and the first Japanese player to sign in Leb Gold, the Spanish Professional 2nd Division. 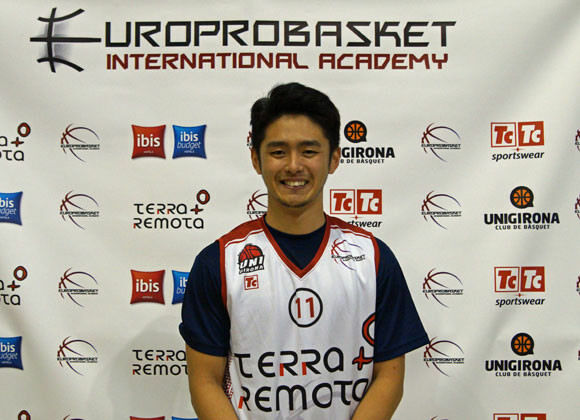 Isao came to Europrobasket first in 2015, his first time entering Europe. After a successful One Month Program, Isao signed with the Copa Catalunya team El Vendrell. He had a successful season and later moved to Santfeliuenc in the Liga Eba the following season. In attempt to re-enter the market in Spain, Isao attended the Europrobasket’s One Month program last year during the month of November, and was signed to Primera Nacional team Benicarlo. With good numbers from that season, and a connection between Jose Orts, Europrobasket’s Head Scout, Isao signed a contract with Leb Gold Club TAU Castello! « Europrobasket Player Judy Jones wins Championship, team moves up to Liga Feminina 2!